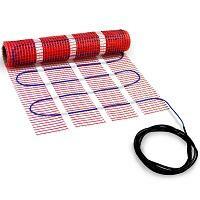 HeatTech in floor heating mats are designed for installation under ceramic (incl. porcelain) and natural stone tile floors in kitchens, bathrooms, showers, saunas, mud rooms and similar. Granite, marble, slate and ceramics are dense materials with good heat conducting properties and are the best choice of flooring to use with an electric floor heating system.